But if you twisted our arm, we may go as far as to say we’d love to receive a pressie from any of these fab online stores. 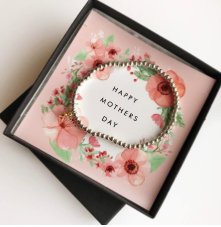 So whether you’re buying for your own mum, a new mum or would like to forward this on to your husband for a gentle nudge in the right direction, these are great places to find mum-focused gifts. We love everything about All by Mama. 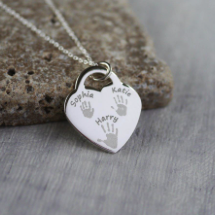 It began back in 2014 when Gemma Whates decided to set up a website where mums could sell the things they make, allowing them work around their children. At launch it had 40 sellers and has since grown to a community of 350, featuring over 4,000 products – from specially blended teas to get you through pregnancy to personalised jewellery. You’ll find every kind of gift and it’s the ideal place to pick up something for Mother’s Day. So many of their products are exactly the kind of thing most mums would love – from cool sweatshirts and accessories to notebooks, candles and beauty products. Don’t forget to check out the lovely choice of art prints in the interiors section. What makes the website nice to shop from is knowing that every purchase is helping to support another parent’s business and livelihood. It’s well worth a look for Mother’s Day, but also keep it in mind for any other gifts you needs to source through the year. This is where to go for the perfect present for a new mum or mum-to-be. The Mother Box range of gifts is designed to celebrate and support pregnant women and those with newborns. 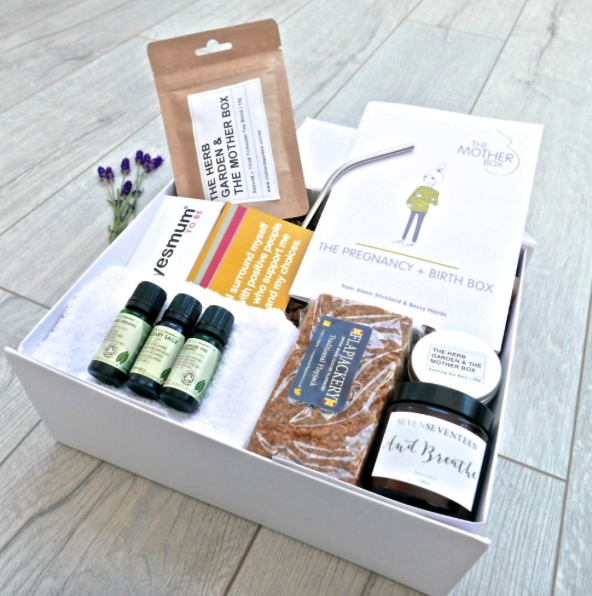 You can either buy a ready-made box of goodies such as the ‘Heal and Restore’ that contains things like specialist teas, tinctures and candles or there is the option to create a personalised box. Founders Alexis (a midwife) and Beccy (a doula) were inspired to create the Mother Box after years of being asked by women for their advice on caring for themselves in pregnancy, the best products to pack in their hospital bags and for tips on the best ways to heal and recover following birth. Each Mother Box has been carefully created to include the tried and tested products and first-hand knowledge that they have personally gained after over a decade of supporting pregnant women and new mums. Also include in each is an exclusive booklet written especially by Alexis & Beccy who are authors of best-selling book The Little Book Of Self Care For New Mums. It’s full of helpful tips and tricks learned first-hand during their years of supporting new mums and mums-to-be. 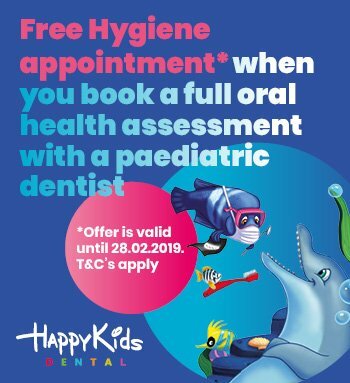 If you’ve just had a baby this is something you would be genuinely grateful to receive. 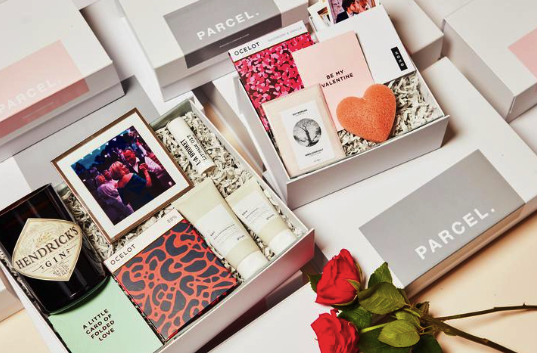 Whatever your mum’s interests or likes, Parcel London have it covered. This clever gift box service aim to create the kind of package that’s a delight to open. Choose from the online selection such as ‘The Pamper’ that’s packed with relaxing goodies or ‘But First Coffee’ for the caffeine coniseur. Personally we love the idea of designing your own bespoke box, choosing from the hundreds of items from independent companies like Nunna, an award winning stationery brand and L:A Bruket, a chic range of natural skincare, beauty, and grooming products. You can also send them pics to include some personal polaroids. Parcel London is for people who have great taste, but not always the time to track down the ideal combination of gifts. These are thoughtful, curated presents that not only look beautiful, but are also great quality – just what mums deserve. 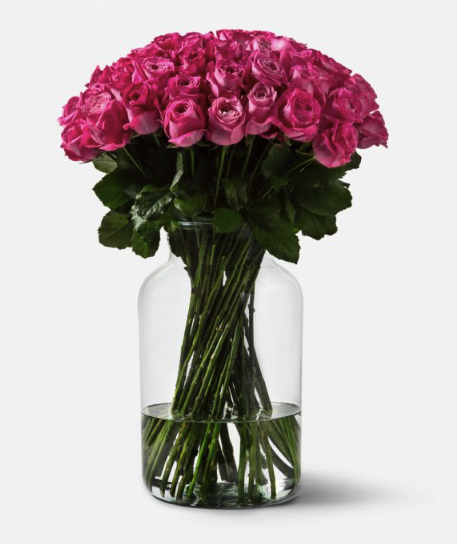 For the most stylish blooms in London head straight to Flowerbx. This online flower delivery service sources the freshest flowers direct from the growers and delivers them straight to the recipients front door. Bunches are delivered in sleek monochrome boxes or fine brown paper. The company was founded in 2014 by Whitney Bromberg Hawkings who previously worked with fashion designer Tom Ford for 19 years. She’s brought all her fashion know-how to the world of floristry, creating bunches for supermodels and royalty. Think beautiful, chic bunches of single flowers rather than fussy, traditional bouquets. You can send from 20 to 100 stems and opt for a hand tie or a vase included. And the choice is vast with every conceivable colour of rose, orchids, iris and lilies – not forgetting our favourite, ranunculus. Prices start from around £60 for a twenty stem bunch of roses and the quality is fantastic. Plus they offer a same day delivery service so if you do end up leaving it till the last minute all is not lost!